The Marvin Dolly Trio plays a fusion of Caribbean and Brazilian jazz. Marvin Dolly, the band leader originates from Trinidad and Tobago. 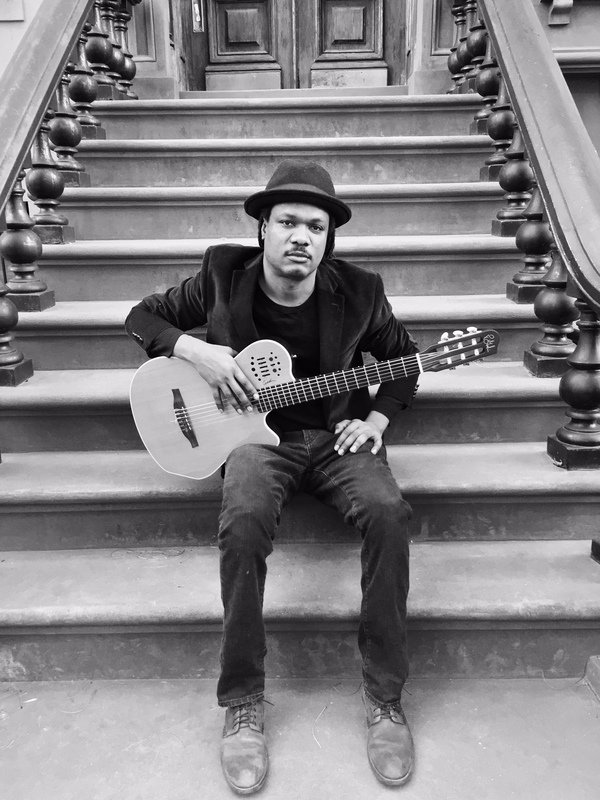 He grew up listening to jazz music from his Dad; however the rhythms of Calypso and East Indian music have heavily influenced his playing style. Moving to New York City, Marvin has played with a great number of jazz musicians including Lonnie Plaxico, Alvester Garnett, Mark Shim, Renee Neufville, and Wess Anderson just to name a few. Jaimeo Brown (drums) hails from New York City and he has worked with a wide range of musicians including Stevie Wonder, Carlos Santana, Bobby Hutcherson and Greg Osby. Curtis Ostle (bass) comes from Washington DC and has worked with musicians including Vic Juris, Clarence Penn, Ari Hoeing, and Tim Armacost. The Marvin Dolly Trio will be playing original music from his forthcoming record, which will be released in Spring of 2017.